US President Donald Trump’s speech at the World Economic Forum in Davos in early 2018 marked the beginning of a seismic change in US trade policy towards much of the world. Countries got a bitter taste of what “America First” truly means for their economic relations with the US. Amid one trade measure after another hurled from Washington, our rules-based global economic order is facing unprecedented challenges from the very party that was responsible for establishing the system in the first place, and that has used its remarkable power to keep peace and prosperity for most parts of the world for the last 70 years. A trade war between the US and the entire world runs the risk of sliding the global economy into another dark Smoot-Hawley era. The first to get hit by Trump’s trade war was China. A high-level team led by US Treasury Secretary Steven Mnuchin spent three days in Beijing for trade negotiations in the first week of May, but left without concluding a substantive agreement. China’s Deputy Premier Liu He visited Washington to launch another effort two weeks later. This visit produced a joint statement that both sides are committed to averting a trade war, but short of announcing concrete measures toward alleviating trade frictions. Yet another negotiation effort took place in Beijing in the first week of June led by US Secretary of Commerce, Wilbur Ross. Donald Trump was not happy with the outcome of this round of negotiations, and on 6 July 2018, he ordered tariffs on 34 billion dollars’ worth of Chinese exports, mostly belonging to the targets of the United States Trade Representative (USTR) Section 301 investigation. Within an hour, the Chinese government announced retaliatory tariffs on the same 34 billion dollars’ worth of American exports, targeting mostly agricultural products. Underlying Trump’s trade war is a wholesale shift in America’s China policy. In this paper, I review how we have come to this stage, mostly from China’s perspective, and also provide some ideas for possible solutions to this conundrum. Finding a way out of the China-US trade spat is imperative due to the potential implications for both countries’ economies, the global economy, and perhaps even more imperative due to the peace and security implications in the Fast East. Last year, America’s trade deficit with China in goods was 375.2 billion dollars, and China’s cumulative merchandise trade surplus by the end of 2017 since it started to have a significant surplus in 2000, according to US statistics, is 2.72 trillion dollars. Granted, these numbers are grossly exaggerated if taking into account only the value added created in China, and if taking into account the service trade as well, where China runs a large deficit with the US. Experts estimate the real American trade deficit with China is probably ranging between two thirds to half of this 375.2 billion dollar number. Nevertheless, it is still a very large number, still larger than America’s second largest trade deficit which is with Japan. Both Beijing and Washington recognize this is not sustainable, both economically and politically. Thus, the Chinese government is thoroughly committed to helping corporate America in exporting more goods to China. No Minister of Commerce in the world is so fixated on increasing imports as China’s is, as it is seldom heard of a Commerce Minister whose primary task is to increase imports. For example, China’s Ministry of Commerce will host probably the world’s first and perhaps only imports exhibition in Shanghai this coming November, clearly targeting corporate America for the most part. But it is safe to proclaim that this trade spat across the Pacific is not just about America’s trade deficit. Donald Trump himself may appear to have a consistent misunderstanding of and disdain for a trade deficit. His grudge is evident in failing to reach a deal which would exempt Japan—a close ally in Asia which has a long history of maintaining a large trade surplus with the US—from the Section 232 tariffs on steel and aluminum. Trump may be also somewhat influenced by Peter Navarro, his trade advisor, who is aggressively geared towards bringing the manufacturing base back to the US. In his view, manufacturing holds a special place and plays a special role in the economy in terms of generating jobs and enhancing innovation capabilities in the economy. Navarro once wrote a book and a documentary, both under the title, Death by China, which presented an odd extremist view that is mostly rejected by the mainstream economics community. Certainly, America’s trade war with China is about something deeper and more profound; it concerns where there will be peace or conflict in the Pacific region for the next 50 years. One only needs to go through the Office of the USTR’s lengthy Section 301 investigation report to understand Washington’s real intentions. The Section 301 report written by USTR Robert Lighthizer’s office is mostly fixated on China’s so-called distortionary trade practices, for things like China’s industrial policy, state aid, the role of state-owned enterprises (SOE), intellectual property right protection, and alleged government efforts to acquire foreign high-tech companies. Short of spelling out the phrase “innovation mercantilism,” which is the brainchild of the Information Technology Innovation Foundation’s (ITIF) Robert Atkinson, Lighthizer and these folks are alerted by the sudden sharp ascendance of China’s innovation capabilities. In their mind, corporate China’s high ground in technologies in its global expansion represents a frightening challenge to corporate America, as it is likely to have long-lasting repercussions on good-paying American jobs and America’s defense technology supremacy. On technology and innovation, corporate China is rapidly catching up to the US. Underlying Trump’s trade war is a wholesale shift in America’s China policy. This shift is rooted in America’s total disappointment, or more appropriately, disillusion with China’s growth path after its accession to the World Trade Organization (WTO). Campbell and Ratner (2018) summarized it best in a recent paper entitled “The China Reckoning.” In their words, China did not develop based on the trajectory as envisioned at the time of its accession to the WTO and there is no hope to see if it ever will get close to that trajectory. According to proponents of this line of thinking, the Washington consensus is the only path to economic success, and anything else borders on heresy. Faced with the dire prospect in a few years of a richer and more technologically advanced nation that has values the US finds traditionally abhorrent, America needs to shift gears in dealing with China. This shift can be described as constructive confrontation rather than engagement. This arrogant and hubris view indeed enjoys wide support on Capitol Hill, as evident in the recent passing of the Taiwan Travel Act, which encourages exchanges at a high-ranking government and military officer level between Taiwan and the US. Not a single vote was in opposition in both the House of Representatives and the Senate. President Trump has signed it into law. The last likely reason underlying America’s trade war with China is related to America’s foreign policy change in general and not just with respect to China. America’s foreign policy is returning to the old geopolitics game after a long time entangled with combatting Islamic terrorism in the Middle East. ISIS is barely holding on in a few isolated pockets in Syria, and it is about time for America to move on to the next big game. Hence, came the national security review led by Defense Secretary Jim Mattis, that lumps China together with Russia as revisionist states, strategic competitors and such. This is essentially a new version of the Cold War. There is indeed much truth in what America is concerned about and afraid of. Today, China’s economy is the second largest in the world, only next to the US. On a purchasing power parity calculation, China’s GDP has already exceeded that of the US’. In 20 to 30 years, GDP per capita would be likely on par for the two countries. More importantly, on technology and innovation, corporate China is rapidly catching up. For example, on solar and wind power, on flat display, on consumer electronics, on telecommunications, on electric vehicles, and on UAVs, China is displaying a technological prowess nothing short of the US. On investments in future technologies for things like big data, robotics, and artificial intelligence, there is a venture capital race right now on both sides of the Pacific. Are China and the US destined for a collision course? Is the ultimate showdown inevitable one way or another? Is this purported trade war a mere harbinger of a real war? These are serious questions that we have to face in earnest if peace and prosperity are to be maintained in the Far East. To answer these questions, one needs to go back to how China has risen to its current stature from a dirt-poor country 30 years ago and the victim of a Soviet-style planned economy—the most disastrous social engineering movement in recent human history. The last 30 years, however, represent undoubtedly the largest economic miracle since Industrialization. America’s and China’s economies are fundamentally intertwined, and fundamentally complementary toward each other in nature. But it is indisputable that China’s success story would have been impossible without its accession to the WTO, without America’s open embrace of China to American markets, and without corporate America’s investment in China’s market. China is extremely lucky that its open-door policy corresponded remarkably well and timely with corporate America’s off-shoring movement. China’s economic rise on the global stage is essentially a triumphant story of today’s vast network of global value chains that decidedly characterize current global trade patterns. China’s participation in this expanding network not only benefits the country, but also all stakeholders participating in it. A quick review of history highlights the fact that America’s and China’s economies are fundamentally intertwined, and fundamentally complementary toward each other in nature. Corporate America’s operations in China represent approximately a 400 billion-dollar commercial interest. About 40 percent of China’s exports are associated with foreign multinationals. The majority of the top twenty list of the largest exporters in China is either OEMs of corporate America or corporate America itself. The Chinese and American economies are complementary because of natural and human resource endowments respectively. America’s agricultural products are highly competitive in global markets, and so is its high end of the high-tech sectors. China’s efficient manufacturing contributes to the low prices in Walmart and on Amazon. Adding goods and services together, the trade flow across the Pacific represents close to 800 billion dollars of commercial interest. That is a lot of money. Only 18 economies in the world have a GDP size larger than that. This tremendous 800 billion-dollar commercial interest is the fundamental bedrock of a peaceful relationship between the two countries. In international relations theory, there is something called the Thucydides Trap, which says when a rising power threatens to displace an incumbent one, the most likely outcome is war. 12 of 16 cases in which this occurred in the past 500 years ended violently. But today’s China-US relations face a Thucydides Trap that is different from historic examples due to these very intertwining and complimentary economic attributes. That does not mean it does not have its fair share of problems and frictions. But fundamentally this is a different type of Thucydides Trap that both countries need to escape from. I call it the economic Thucydides Trap, as most of the areas of contention manifest in economic relations between the two, which could be potentially addressed jointly by both sides. China and the US, situated an ocean apart, do not have deep national security conflicts, barring the Taiwan issue. Even Taiwan’s strategic importance to the US has been waning over time as modern military technologies render it less relevant. On the contrary, potential frictions and conflicts are more likely to arise from the economic Thucydides Trap that, if not addressed properly and carefully by both sides, could potentially lead to a real Thucydides Trap that will wreak havoc on our future. The possibility of escaping the economic Thucydides Trap exists, as does the hope of a peaceful and harmonious co-existence between corporate China and corporate America. The answer is very simple. The planet is a large enough place to accommodate two giants at the same time, as long as each side is recognizant and considerate of the other side’s needs and interests. There are several areas that both sides can work on in this aspect. First, the two sides need to talk in earnest. The Trump style of bluffing and trade war rhetoric may work as a private company in the real estate business, but augurs poorly for relations among nations. It politicizes an economic issue on both sides and constrains the administrations’ policy space. It damages trust on both sides, making negotiations more difficult. It causes carnage on the financial markets, introducing unnecessary risks to economic growth. The Trump style of bluffing and trade war rhetoric may work as a private company in the real estate business but augurs poorly for relations among nations. Washington is right that a sole multilateral system is not adequate for resolving issues between China and the US, but it is absolutely wrong to dispense with the entirety of it. Granted, the WTO framework represents the minimal standards for global trade governance, and many of the issues between China and the US go well beyond that. It is true that advancing these China-US specific agendas through the multilateral WTO venue can be extremely difficult and time-consuming. What is needed, in complement but not in lieu of, is a combination of multilateral frameworks like the WTO and bilateral quasi-treaty-like agreements on trade and investment in supplement. China and the US do not have to be engaged in many years of negotiations for a decade-long free trade agreement and bilateral investment treaty. The two government executive branches could sign things as they move forward in a phased approach and bypass the legislative labyrinth on Capitol Hill. They can work on something concrete, short-term, and easy to implement, in the direction of incrementally resolving trade and investment frictions one at a time. Second, corporate China and corporate America can also cooperate while competing. In some instances, why not merge or align them together to seek joint interests in global markets? In the automobile industry, the success of the Renault-Nissan alliance testifies to the viability of such broad cross-border cooperation. Why can this model not be tried in China? Some may question this model from an ideological perspective in pointing out the mass dominance of China’s SOE behemoths in certain sectors. But one only needs to look at the cordial relationship between General Motors (GM) and Shanghai Automotive Industry Corporation (SAIC). They have a successful joint venture based in Shanghai going back decades. Today, GM sells more cars in China than in the US. During the 2008 financial crisis, SAIC helped GM weather a difficult period.. Today, the two companies cooperate extensively on global markets, even in areas of R&D and innovation. GM’s next-generation small turbo combustion engines are jointly developed together with SAIC. Such a close relationship should evolve to a potential level that they jointly become one. Is this wonderful hypothetical company an American company? Or is it a Chinese company? It doesn’t matter. I would call it a global company, in the age of globalization. China could also benefit from being selective in its industrial policy objectives. Industrial policy is controversial in the economic academic community. But one has to concede that America has its own fair share of industrial policy no different from China’s. For example, the US has the DARPA program, its world-renowned national laboratories under the Department of Energy, the massive research funding from the National Institutes of Health, and the many grants from the National Science Foundation programs. What China differs from the US may be in scale but not in substance. Having said that, it does not hurt China’s interests to follow a policy objective of excelling in select areas as opposed to being mediocre in all things. For example, the US excels in Boeing airplanes, while China excels in high-speed railway. However, some Washington think-tanks have accused China of seeking innovation autarky. In other words, a strategy that is geared towards achieving self-sufficiency. If an autarkical approach is to be avoided, strategic trust needs to be established between the two sides for the long term. And in this regard, the recent decision of the US Department of Commerce against China’s ZTE, the world’s fourth largest telecom equipment company, serves as a terrible example. By a friendly geographic division of the global market, corporate China and corporate America can both thrive on their own. ZTE has its problems. It did violate US sanctions against Iran, but only prior to March 2017 when ZTE entered into a settlement agreement with the US government to resolve all the issues. Since then, the US Department of Commerce’s action to cut off supply of US-made IC chips and components to ZTE smacks every bit of an intention to wipe ZTE off the face of the earth. It is one thing to penalize a company that has made a mistake, but quite another to intend to quash it. No company in the world deserves capital punishment even for things as bad as lies and coverups. It is this type of action that totally destroys the trust between the two countries. How can one blame China for being innovation autarkical, while cajoling the Chinese government to trade corporate China’s technological prowess, if things like ZTE are coming from Washington? Fortunately, Washington understands the severity and the danger of disrupting the telecom global value chain. Donald Trump recently reversed the decision on ZTE, after it paid a one billion dollar fine. Another dimension of escaping the economic Thucydides Trap is along the market geographic dimension. Corporate America usually does not go to Africa. Corporate America is limited in presence in South America, South Asia, and Southeast Asia. Its strength is in Europe and the North America markets. I have always advised corporate China executives to go to Africa, South America, and other countries where there are more opportunities than competition. By a friendly geographic division of the global market, corporate China and corporate America can both thrive on their own. In conclusion, the China-US relationship is the most important international relationship of the 21st century. The heart of the matter of this relationship is more about economics than security and geopolitics. The Thucydides Trap both countries are in is an economic one which they must escape. A peaceful and harmonious co-existence between corporate China and corporate America is possible and likely, as long as both sides are recognizant and considerate of the broader context in which they exist, compete, and cooperate. U.S. Bureau of Economic Analysis, 6 February 2018. This number is calculated based on the data from the U.S. International Trade Commission (USITC) DataWeb. “Calculating the real trade deficit number behind US-Sino trade,” Xinhua News Agency, 6 April 2018. According to International Monetary Fund estimates, China’s PPP GDP in 2018 would be Int $25.1 trillion versus Int $20.2 trillion for the US. According to a Deutsche Bank report (“Trade wars and more,” Deutsche Bank Research, 23 April 2018), the total sales of US firms based in China reached $372 billion in 2015. The total merchandise trade between China and the US is $635.9 billion in 2017, according to the U.S. Bureau of Economic Analysis, February 6, 2018. China exports $505.6 billion, while importing $130.3 billion. I use the service trade number from China’s Ministry of Commerce in 2016, which is $31.2 billion of service exports to the US and $86.9 billion service imports. Adding both goods and service trade, that is $754 billion, but the service trade number used in this exercise is for 2016, which is most likely to increase in 2017. 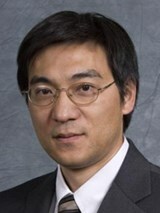 Dr. Jiong Gong is a Research Fellow at the Charhar Institute and a Professor in the Department of Economics at the University of International Business and Economics in Beijing, China. This paper is revised from a speech the author delivered at the Forum Istanbul Summit on 3 May 2018.